Modified ERack in a modular format for vital support to RAF. 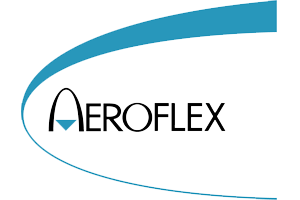 Aeroflex Incorporated is a leading provider of highly specialised microelectronics and testing equipment to the global aerospace, defence and communications markets. 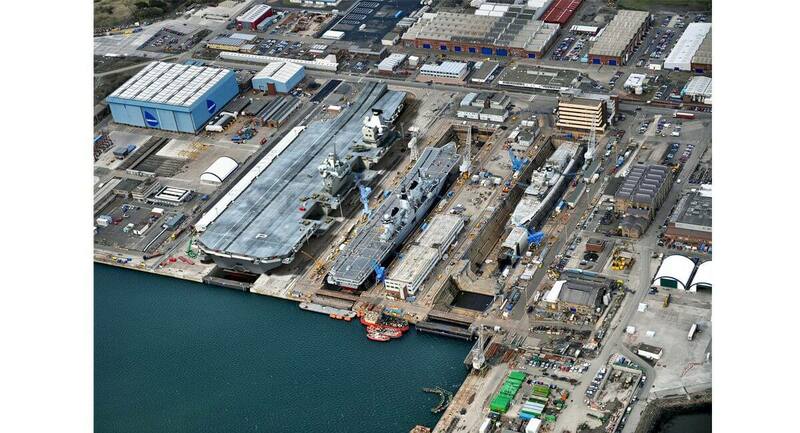 Aeroflex Incorporated are suppliers to BAE systems for specific test equipment for Workshop Test and Ground Equipment (WSTGE) used with the Eurofighter Typhoon Defence Aid Sub System (DASS). 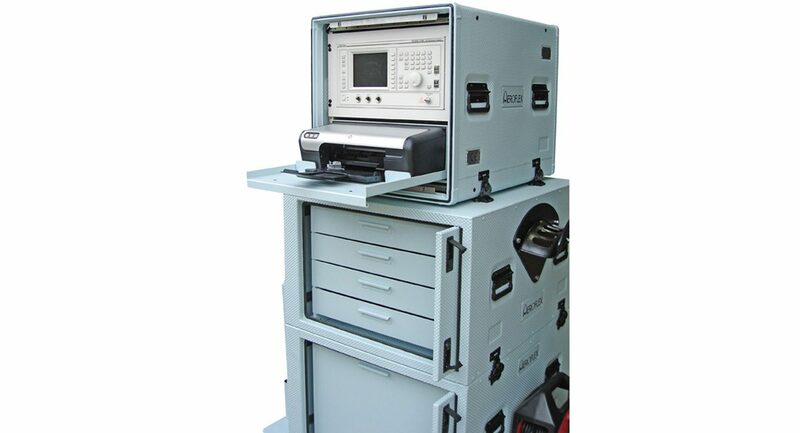 The test system consists of a combination of bespoke elements and many commercial off-the-shelf items and is required to interface directly with the aircraft using adapters. 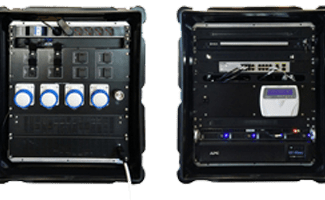 All adapters and accessories are contained inside the WSTGE and the whole system is fully mobile, compact, rugged, self-contained and suitable for use in sheltered environments. 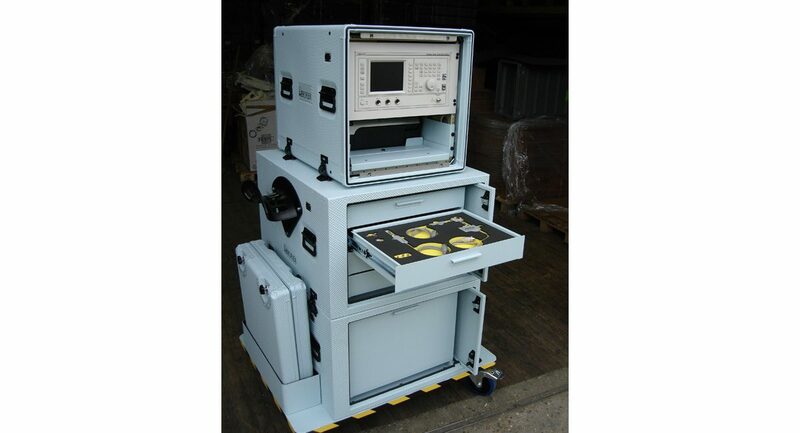 The operator requires access to all control and display panels of the test system from its normal working position and an A4 colour printer is incorporated within the WSTGE. It also includes mechanical handling features such as fork lift points. Due to the enclosure being used under the wing of the Eurofighter Typhoon aircraft, maximum length, width and height restrictions are critical to the design and construction, and projecting and overhanging edges are also to be kept to a minimum. 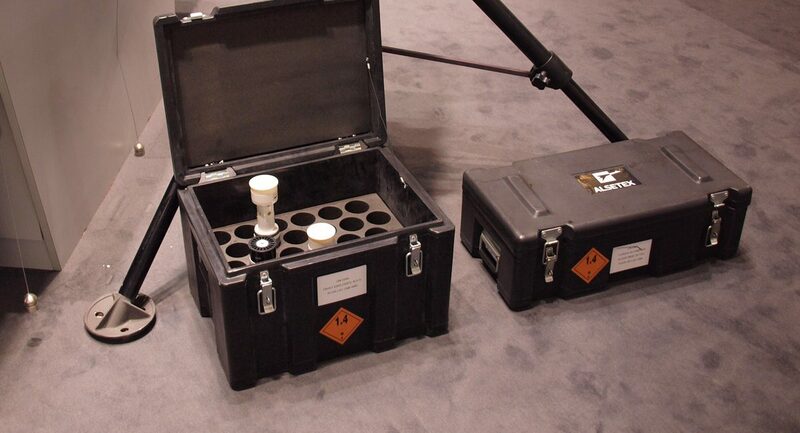 The enclosure has lockable doors and/or covers to provide protection and security when not in use and individual components are located with high visibility coloured foam to identify any missing items. The WSTGE is shielded against Electromagnetic Conductance and Interference in accordance with BS EN61326 (EMC shielding) and be electrically bonded to the earth conductor of the power cable, and is fully maintainable in the field. 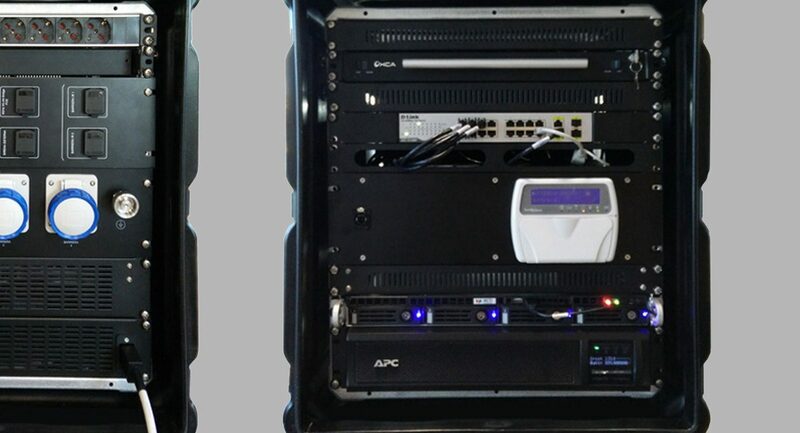 Aeroflex understood that to meet all of these challenging demands there was only one place they could go to receive a complete solution by a single company, CP Cases Ltd. 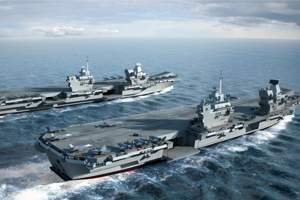 Through regular meetings and consultations, CP Cases’ engineers and design team developed a three-part modular system that exceeded the requirements and expectations of Aereoflex and BAE Systems for the project. 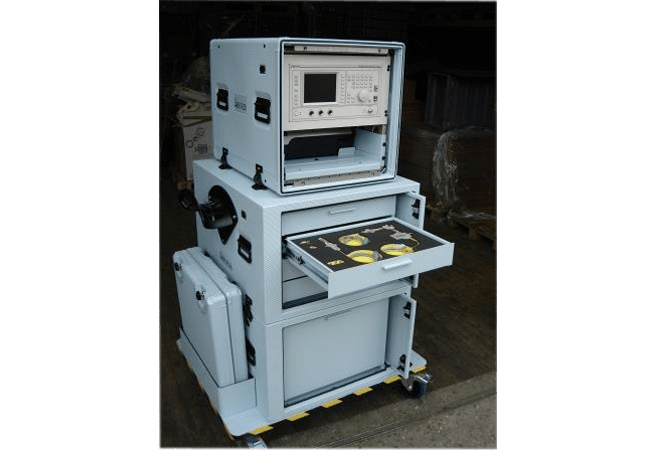 A customised ERack houses the 19-inch test equipment, manufactured in 2mm rigidised aluminium and includes a slide-out drawer for the printer. 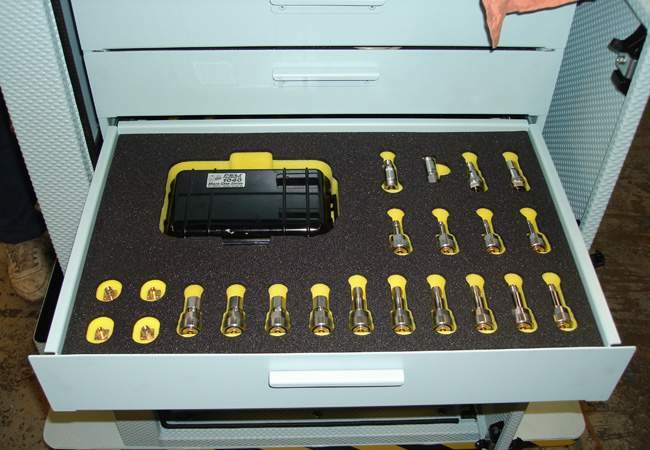 Two additional units contain drawers that are fitted with CNC routed foam to secure tools and components; as specified by Aeroflex, the foam is dual coloured so that identification of missing items is easy. 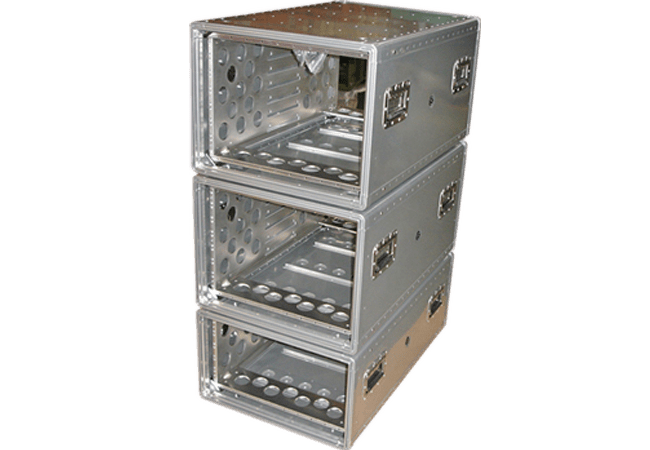 Doors on the drawer units swing open and slide into the body of the enclosure to minimise overhanging edges and when closed, are secured with lockable compression latches. The three units were attached to one another and fastened with butterfly catches and the integral wheelboard had space incorporated for stowing the ERack lids and a cable reel, again providing a capability in excess of the requirement. 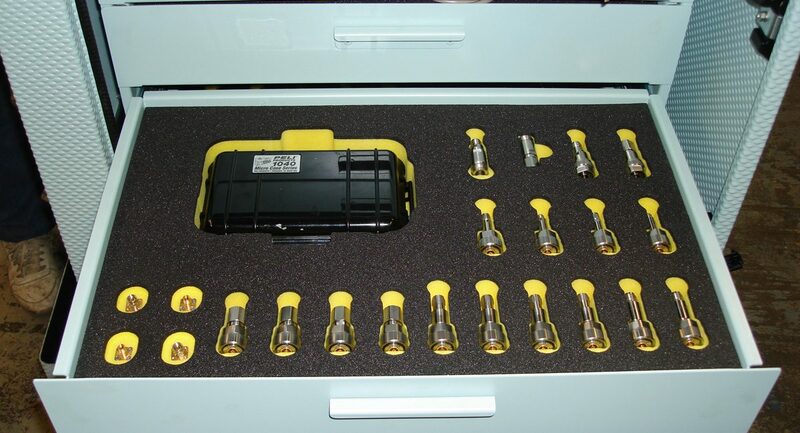 fitted with CNC routed foam to secure tools and components; as specified by Aeroflex, the foam is dual coloured so that identification of missing items is easy.